So one of my very nearest and dearest friends is getting married in a few months! I’m so honored to be in her wedding party, as she was such a gem to be in mine. During our weekly phone dates, our conversation almost always leads to wedding talk. 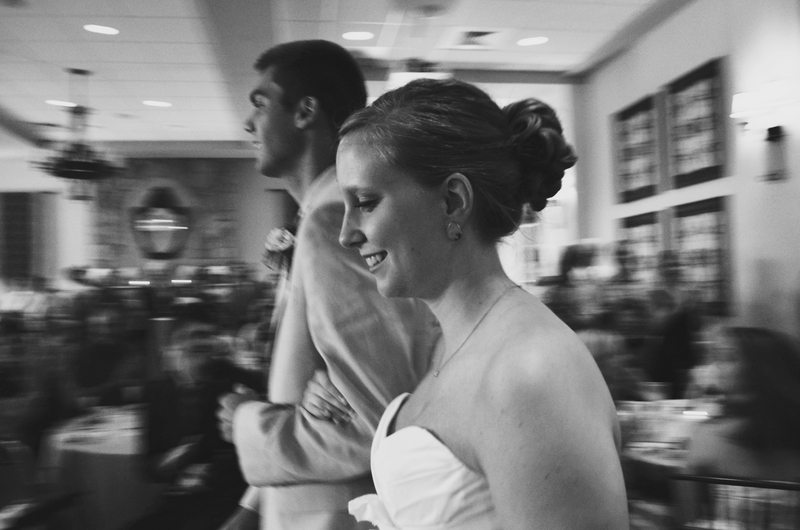 And this week she posed this insightful question: what would I have changed about my wedding? I spent a good four months planning my wedding (study abroad and graduating from college sort of took precedence there for a while), and while I LOVE being a wife, I didn’t especially love being a bride. Mostly because it felt more like being an event planner than anything else, but also because of stress and everyone staring at me. Not quite my cup of tea. What I did manage to do, with the unfailing assistance of my gorgeous mother and Magnolia Events, was pull off a really great wedding day. My wedding ceremony was perfection (and there’s absolutely no exaggeration here people) and the photography was amazing (thanks Indigo Photography). The cupcakes were delicious, but could have been more aesthetically pleasing, the linens were supposed to be white instead of turquoise, more flowers are always better, and some live music at the reception would have probably pulled more people onto the dance floor. The breakfast food was right on point, the location and overall feel of the wedding fit us perfectly. We managed to throw a really stellar Sunday brunch wedding. That said, I don’t remember most of it. I remember that day in pictures (which is why photography is so super important) and I remember needing like ten whole breaks to just soak everything in. I still somehow managed to chat up almost every single guest, stayed in my four-inch heels the whole time, ate half a cupcake and drank a glass of champagne and elderflower liqueur with blackberries. I also had cake shoved in my face by a very mischievous tall husband. It was a very good day. And it was entirely too short. The perfectionist in me would change a few minor details about that day, and the engaged Kaitlin surely would love to. But the married Kaitlin knows better. A good day is a good day, and a good marriage is even better. So, my darling dearest Pearl, your wedding will be wonderful. It will not be perfect, but it will be a whole lot of fun. On that day, as your bridesmaid and your friend, I will do my utmost to make you feel special and celebrated. But what’s even better is that the guy at the end of the aisle will spend the rest of his life making you feel loved and beautiful.